RME isn’t a household name in the USA pro audio world, but it should be. For decades, its interfaces have reigned supreme in mission-critical reliability, and its innovations have entered the market and become standards without most folks ever knowing where they came from. (Zero latency direct monitoring? Invented by RME.) Reviewing a new RME interface is always a blast, and the desktop/portable Babyface Pro was no exception. 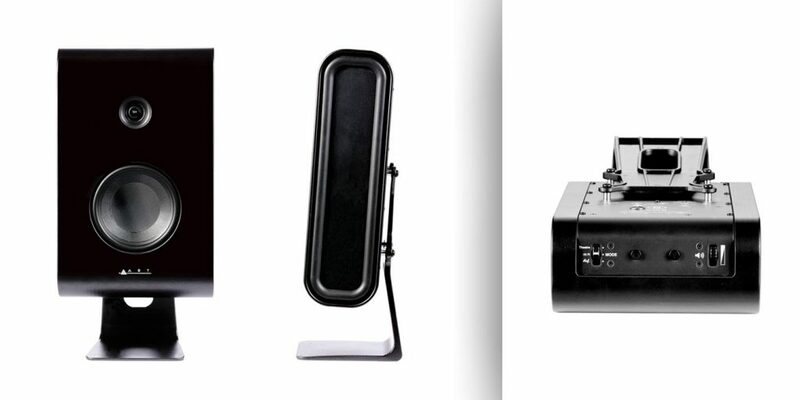 The Babyface Pro comes in a form-fitting plastic carrying case that holds the interface, USB and MIDI cables, and has space for an optional DC power supply (it usually operates on bus power). The interface itself is machined from a solid block of aluminum and is wonderfully solid; it’s notable for its complete lack of audio breakout cables despite its small size. On the rear panel of the Babyface Pro’s enclosure are four XLR connectors, two mic inputs and two main outputs. The right side of the case adds two 1/4” unbalanced 1/4” TS connectors with 470 kΩ input impedance (suitable for line-level devices as well as most electric guitars and basses), as well as two headphone outputs, one 1/4” TRS and one minijack. Note that these two outputs share the same output signal and volume control, but have different output specs, the minijack being more suited to in-ear monitors and low-impedance headphones for portable use while the 1/4” handles higher- impedance headphones. On the left side of the enclosure, digital connections are provided: USB 2.0, Toslink optical in and out—operable as stereo S/PDIF or 8-channel ADAT—and a 7-pin socket for a provided MIDI In/Out cable pair. There’s also a locking connector for a proprietary DC power supply. The power supply is optional; the Babyface Pro works on bus power for Windows and macOS, but you’ll need the DC supply to use it as a standalone preamp/converter/headphone amp, or in Class Compliant mode with an iOS device. The top panel of the Babyface Pro does a lot with a relatively small number of controls. In and Out buttons let you cycle through which input and output sources you’re controlling with the large encoder wheel; you can set gains and output volumes easily, with source LEDs visible between the channels of the two LED ladder meters. Two other buttons are marked A and B; out of the box, they let you quickly choose sources for direct monitoring output and recall a preset output level for the main outs or headphones, but they can also be programmed for user-defined hotkey functions. The last two buttons are Select (used in conjunction with the encoder and other buttons for secondary features like setting output pan/balance), and a Dim function that lowers all output levels temporarily. Unlike some other interfaces, Dim on the Babyface Pro works for the headphone outputs as well as the mains. (Hooray!) The unit is designed so you can do most of your minute-to-minute adjustments without ever having to open software, but when you need to do more, the option’s there for you. To get the most out of the Babyface Pro, you’ll want to install the custom drivers and associated software for macOS and Windows. This gives you access to a very powerful and comprehensive software package called TotalMix FX, which turns the Babyface Pro into a powerful digital console capable of providing multiple prefader monitor mixes that can be instantly stored and recalled with highly flexible routings. As you can see from the screenshot, each hardware input, software playback return, and hardware output appears in the mixer view, and has access to a hidden Settings menu (via the wrench icon) where you can set phantom power, gain, phase/polarity inversion, stereo linking, send amounts to a pair of bus FX for confidence monitoring, and more. Each channel has mixer features like panning, mute, Solo or Cue bus routing, a Trim function that lets one fader simultaneously control all places in the mixer architecture where a given input appears, and numerical displays of settings and meter levels. You can set up a talkback circuit, monitor in mono, route audio to external hardware effects and back, and more. This is where the ADAT optical connections come into their own. Adding an 8-channel A/D and D/A turns the Babyface Pro into a full-on 12-channel input system with up to six different output mixes for recording and monitoring, while allowing it to be easily disconnected for on-the-go 4-in/4-out use. The Mixer view is supplemented by a Matrix view, where you can quickly add and remove routings from any input to any combination of outputs. While you don’t get the fine control over levels and the like in this view, it greatly speeds up the creation and storage of multiple monitor mixes in terms of raw routing. You can then go back to the mixer to fine-tune the settings as needed. The software effects in TotalMix FX include a bus echo and reverb that sound very good (if not outrageous in terms of maximum delay/reverb time), as well as per-channel 3-band parametric EQ and separate lowcut filter. These aren’t meant to be comprehensive channel strips; while you do have the option of looping back the mixer’s output to be recorded in your DAW, or tracking audio with the TotalMix FX EQ, the submixes you create are primarily for monitoring purposes. 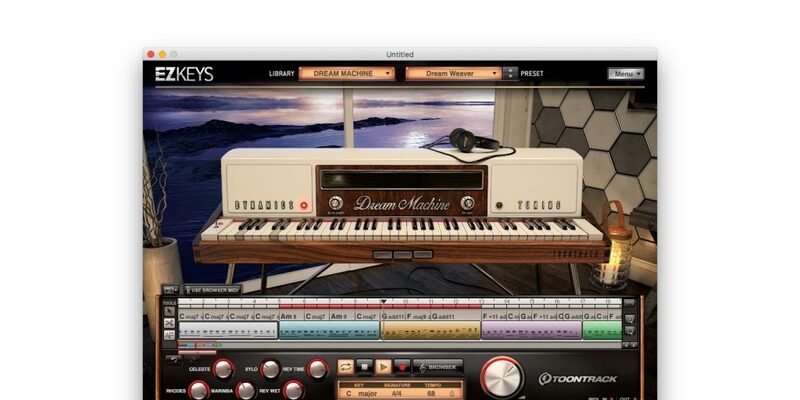 Your DAW will have plug-ins for tracking and mixdown that will do a better job on your finished product. By keeping this processing lean (or restricting it to reverb/delay effects that are less reliant on tight time-alignment with the input signal), the effects structure in the Babyface Pro is optimized for very low latency. The Babyface Pro can handle 24-bit audio up to sample rates of 192 kHz, with fewer and fewer channels of I/O available at higher rates. Dual or quad sample multiplexing (S/MUX) reduces the number of available optical ADAT channels from eight (44.1 or 48 kHz) to four (88.2 or 96) or two (176.4 or 192). The built-in SteadyClock sync circuitry is designed for low jitter and reliable performance even with very low buffer sizes, and the Babyface Pro’s manual is actually a great tutorial on where those buffers actually are in the digital audio path and what they’re for. Sound quality is exceptional all around. The converters are clean and clear, but I have to make special mention of the mic preamps in the Babyface Pro, which provide gobs of clean gain—a range of 76 dB, –11 dB to +65 dB. This is where a lot of portable interfaces, especially bus-powered ones, fall flat; you can’t get signals that hot without obtrusive noise. 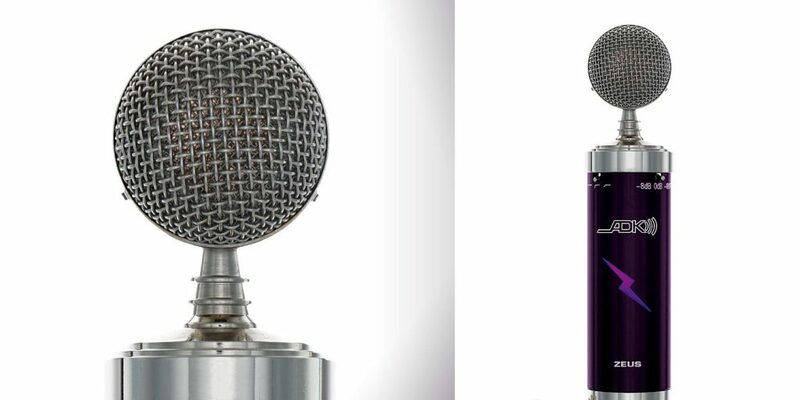 The signal-to-noise ratio of the mic inputs (113 dB unweighted, 116 dBA) is such that even very finicky low-gain dynamic and ribbon mics do very well through the Babyface Pro. Over all, there’s not a lot more to add. 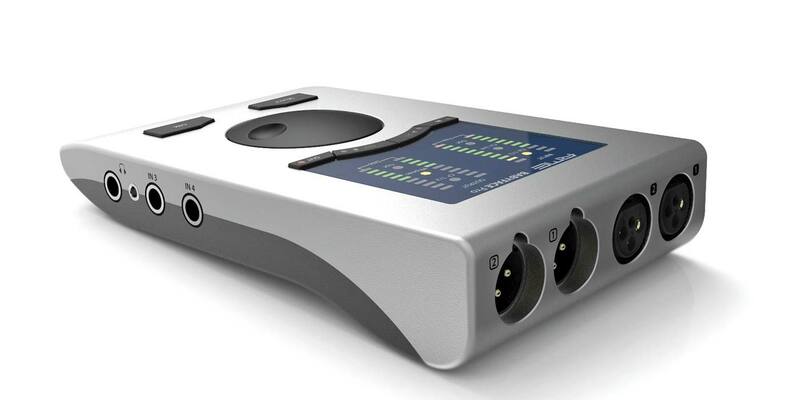 With rock-solid build, reliable low-latency performance, a ton of routing options, easy operation whether standalone or with TotalMix FX in the background, and impeccable sound, RME’s Babyface Pro is a portable interface for the modern mobile recording rig that can’t afford to compromise.